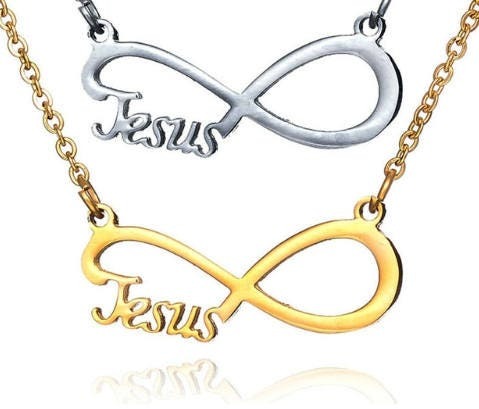 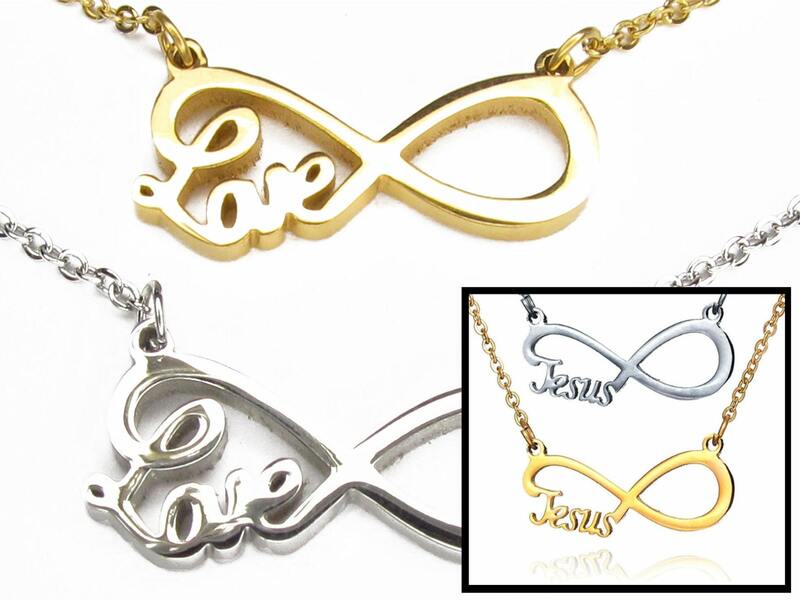 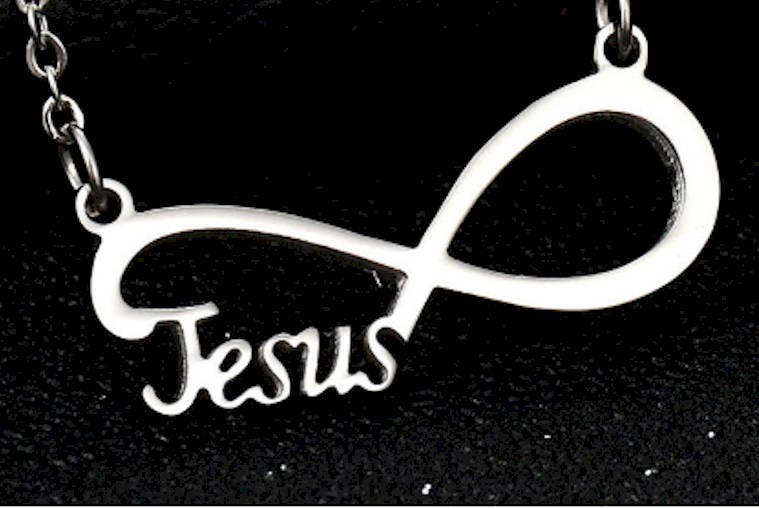 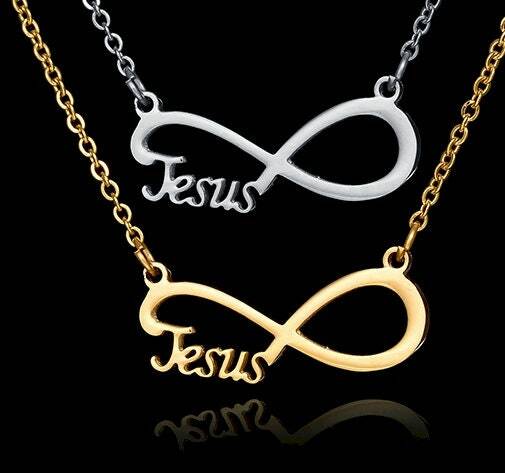 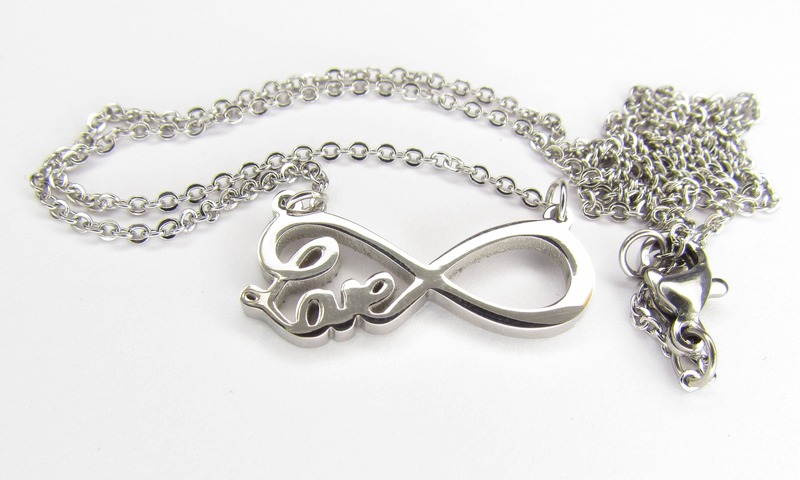 Jesus Monogram or Love Monogram Infinity Necklace. 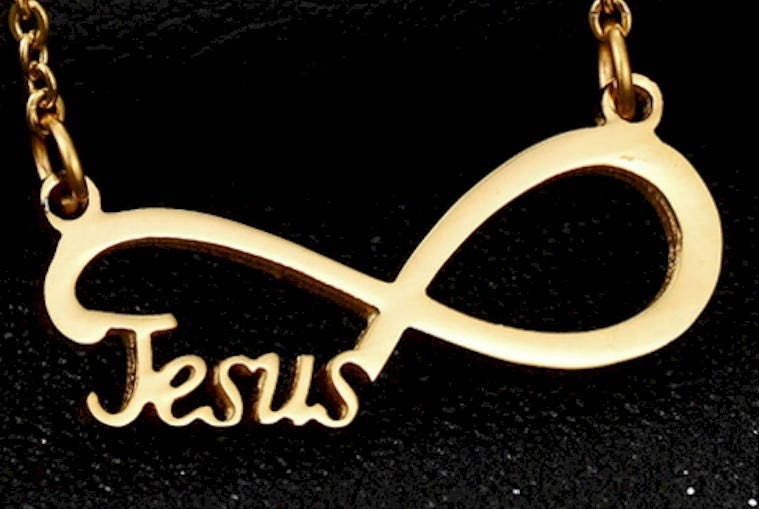 18" adjustable length Chain. 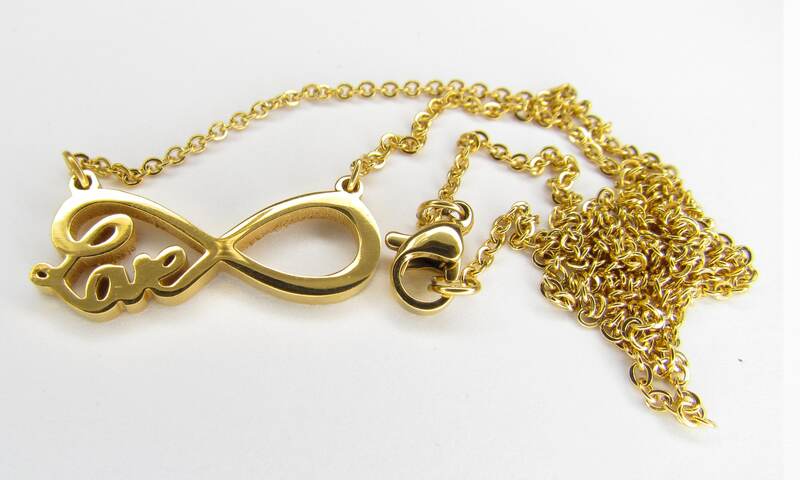 Positive locking lobster clasp. 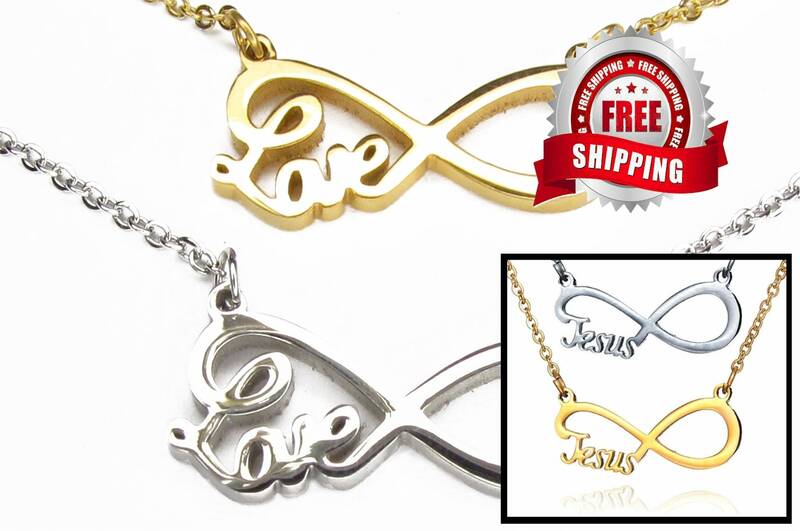 Select High Luster Stainless Steel or 14k Gold plating.